Tax Increment Financing, or TIF is a development subsidy based on the diversion of property taxes (and in some cases, sales taxes as well). In states that allow it, local jurisdictions are able to use TIFs to attract development in “distressed” or “blighted” areas. The program anticipates that the development will increase property values and property tax revenues but allows that increased revenue (the tax increment) to be used to subsidize the continued redevelopment of the TIF district. In short-hand? TIF Districts capture increased revenues that result from commercial development, and feed them back to developers, rather than in to public coffers where they can be used for schools and city services. During the month of July and the months of September through November, canvassers with Grassroots Collaborative's Peoria People’s Project (PPP) collected approximately 1300 signatures in support of returning expired TIF funds back to the taxing bodies. 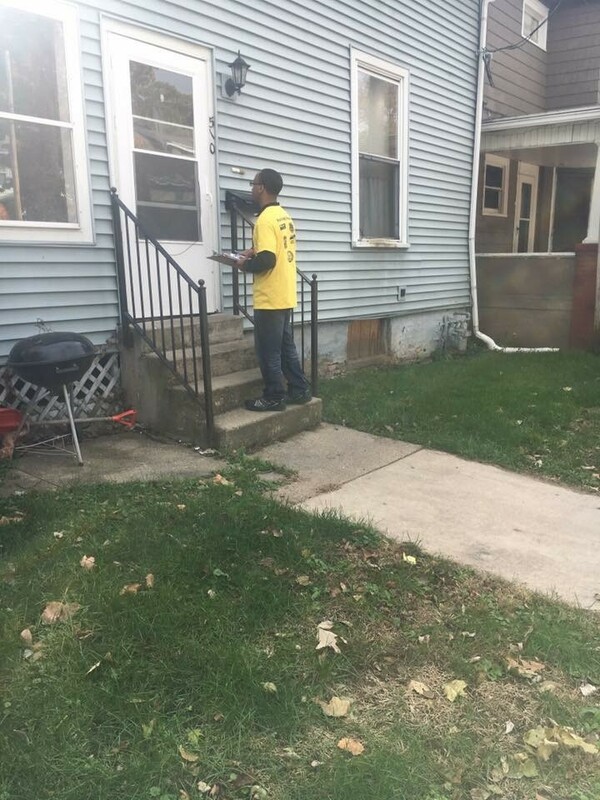 PPP canvassed with materials educating the community about TIFs and how they’ve negatively impacted schools. The Peoria Public Schools have lost approximately 28 million dollars between 2000-2015 as a result of TIFs. 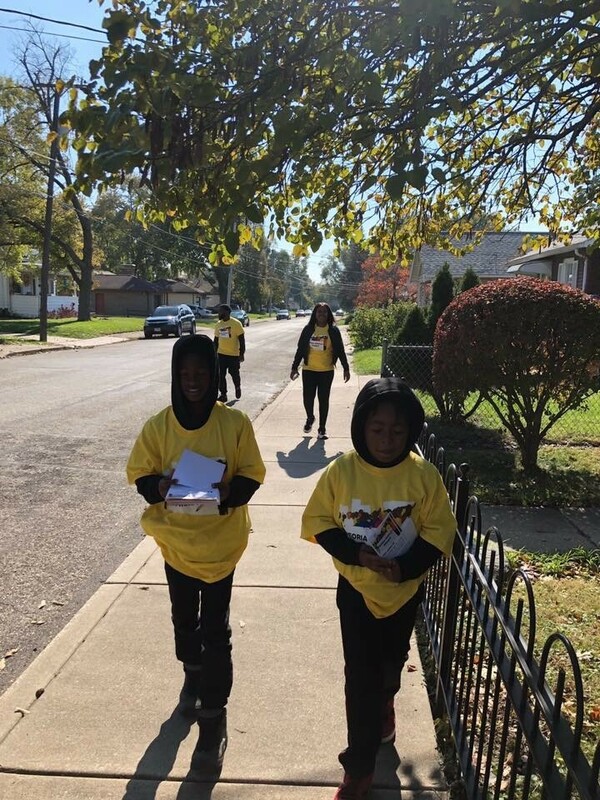 Throughout the campaign, PPP members knocked on 14,978 doors, and left TIF information with approximately 10,000 homes. The Peoria Federation of Teachers participated in ongoing “at the table” conversations with the school district to ensure they were on the same page. As a joint unit, they pushed for the City Council through one-on-one meetings and letters, to return the money back to the taxing bodies. On November 20th, the Council voted to return the money of the Northside Riverfront TIF, which expires in December 2018, back to the taxing bodies. $300,000 dollars of those funds will go back to Peoria Public Schools. By educating the public, facilitating meetings and coming together with the school district and making the community aware of the expiring TIF and what they could do to help, the Peoria People’s Project played an integral role in the decision to return the TIF money back to the taxing bodies. The Trump/DeVos Federal Commission on School Safety is expected to release its recommendations on school safety any day now. In anticipation of that report, the Center for Popular Democracy has launched the #YouthDemand video and petition targeting the Commission. The Commission was formed after the tragic school shooting in Parkland, Florida last February. Trump appointed Secretary of Education Betsy DeVos, and DeVos announced the appointment of the Attorney General, the Secretary of Homeland Security and the Secretary of Health and Human Services as the commissioners. It is a foregone conclusion that the Commission will support the “hardening” of schools, including more security systems and surveillance. Devos has indicated that she will not oppose state and local policies allowing teachers to carry guns in schools, and also asserted that the Commission would not address the issue of gun control—the only possible solution that would actually make sense!! Instead, it is widely assumed that DeVos would use the Commission’s report to rescind Obama-era guidance on school discipline, that was designed to ensure that schools and districts do not use discipline in a racially discriminatory manner. The Commission held hearings in Trump-friendly states, but largely left students (especially Black and Brown students) out of the conversation. Students are releasing the video and petition to outline their demands for school safety that doesn’t further criminalize Black and Brown communities and instead centers students' opportunities to learn and the freedom to thrive. Those demands include divestment from school policing and funding for more guidance counselors, mental health supports, restorative justice, and higher pay for their teachers, among other things. Please share the video and petition widely. Every time someone signs the petition, an email will be sent to the Commission on School Safety with young people’s demands. The time to act is now. The Commission will come out with their recommendations very soon. How Diverse is Your Child’s Curriculum? New York city parents have been working for months to better understand the content of the curriculum in their children’s schools. Some disturbing incidents have elevated the crisis, including an incident report on by the NY Daily News earlier this year, in which a teacher told Black students to lie on the floor, then stepped on their backs to demonstrate “what slavery was like.” The story infuriated members of the Coalition for Education Justice, the Alliance for Quality Education and the NY Civil Liberties Union. The groups are engaged in a campaign to win Culturally Relevant Education throughout the NYC public schools. On Saturday, December 15th, the Coalition for Education Justice, in collaboration with the Metro Center at NYU, is sponsoring a Parent Power learning session to take a deep look at the city’s curriculum and develop solutions. The session will look at some of the most common English Language Arts curricula in New York City to find out whether they reflect Black, Latinx and Asian children and families, and other diverse populations in the city. Are our children’s texts teaching them to be proud of themselves and their communities?? The event will be held from 9:30 – 2:00pm at 246 Greene Street (NYU) in New York City. Breakfast, Lunch, childcare and Spanish translation will be provided. Click HERE to RSVP. "Most people think that students have a right to an adequate education under the U.S. Constitution," said Michael Rebell, the lead counsel for a new class action lawsuit to establish the right to an adequate education in the U.S. Constitution. Rebell is an education law professor and founding director of the Center for Educational Equity at Teachers College, Columbia University. "Unfortunately, the federal courts have never held that there is such a right. Today, although it is more important than ever that the schools carry out their traditional responsibility to prepare all of their students to participate effectively in our democratic institutions, most schools are failing to do so." The lawsuit asks the federal court to confirm the constitutional right of all public school students to a civic education that prepares them adequately to vote, to exercise free speech, petition the government, actively engage in civic life and exercise all of their constitutional rights under the 14th Amendment, and under Article 4, section 4, which requires the federal government to guarantee each of the states a "republican" form of government. December 15th: “How Diverse if your Child’s Curriculum?” Hosted by the Coalition for Education Justice and the NYU Metro Center. New York City. See above. 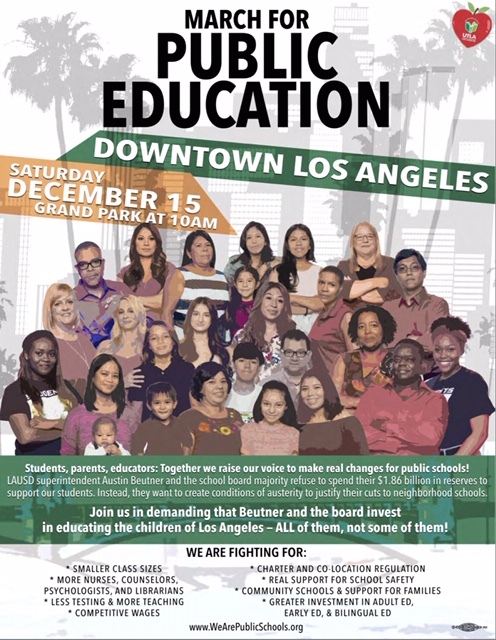 December 15th: March for Public Education! Demand that Los Angeles Unified School District invest in the education of all the children of Los Angeles! Meet at Grand Park at 10:00am. For more information, click HERE.